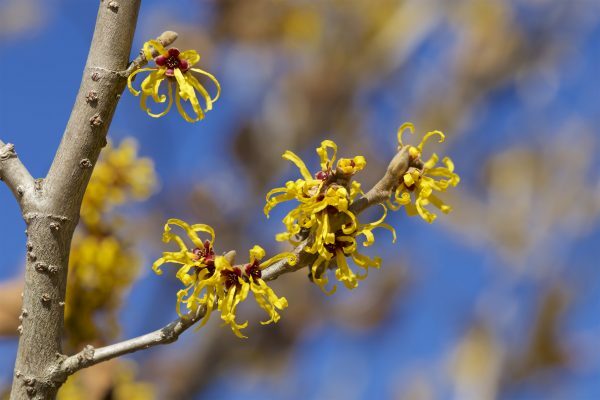 Witchhazel is an easily grown deciduous, fall blooming, large shrub. 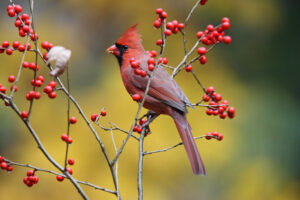 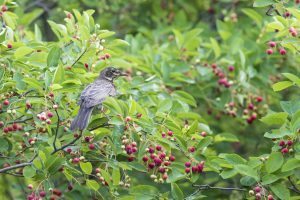 Fall and winter interest comes from its late bloom that shows up between fall and winter. The showy flowers vary from bright yellow to hues of orange and red. 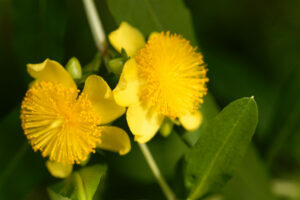 The petals have a dainty, ribbon like appearance. 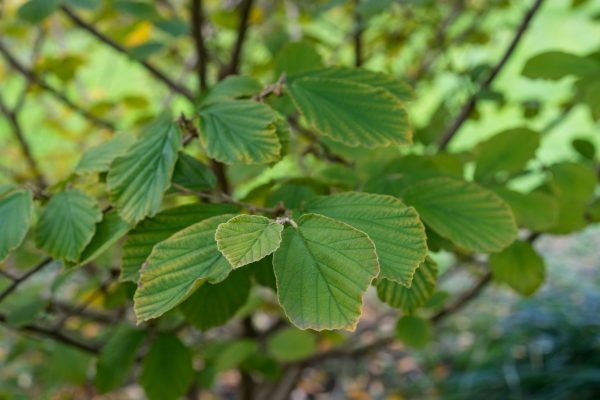 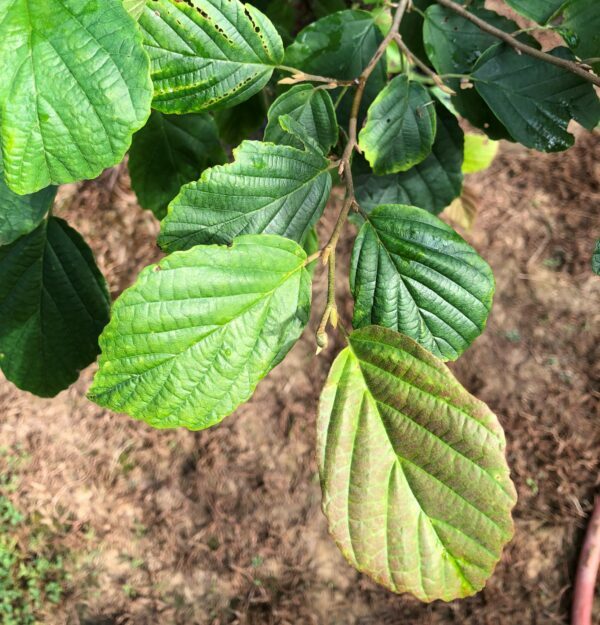 Witchhazel leaves, twigs, and bark were used traditionally to treat cuts; as well as skin ailments such as rashes and insect bites. 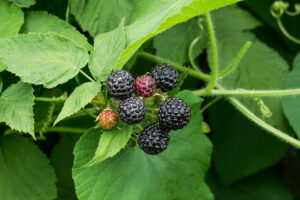 Average, well-drained; prefers moist, acidic, rich.